Cosmological and astrophysical observations have established that about 27% of the energy density of our Universe is dark matter, a rarely interacting nonbaryonic form of matter, whose specific composition remains unknown. This large-scale problem is closely connected to new physics at the smallest scales, because dark matter candidates arise naturally in extensions of the Standard Model of particles physics. Appealing dark matter candidates are weakly interacting massive particles (WIMPs) predicted by supersymmetric models. The most promising candidate is the lightest WIMP, called neutralino, as its predicted density accounts naturally for the dark matter density established by observations. 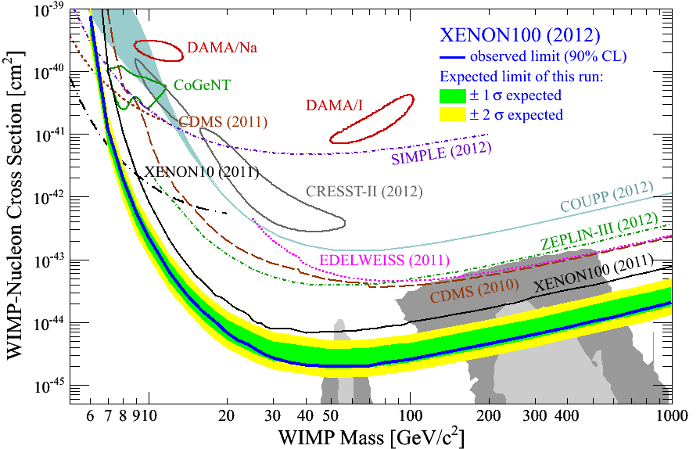 Moreover, WIMPs are expected to interact with quarks, and thus with nuclear matter, opening the door to direct dark matter detection experiments, such as Xenon100, CDMS, LUX, and many more. Those experiments have the aim to measure the nuclear recoil induced by elastic WIMP-nucleus scattering as this would yield a clear confirmation of the particle nature of dark matter. Despite the impressive efforts put in those experiments, no direct detection has been confirmed. However, it is possible to constrain the properties of neutralinos. To that end the WIMP-nucleus interaction has to be modeled accurately. The typical momentum transfers involved in WIMP scattering off nuclei are low and of order of the pion mass. In addition, the typical momenta involved in low-energy nuclear structure are similar. At these momentum scales, chiral effective field theory (EFT) provides a systematic expansion in powers of momenta Q for nuclear forces and for the coupling to external probes, based on the symmetries of quantum chromodynamics (QCD). We are deriving the structure factors necessary for modeling elastic and inelastic WIMP-nucleus scattering. 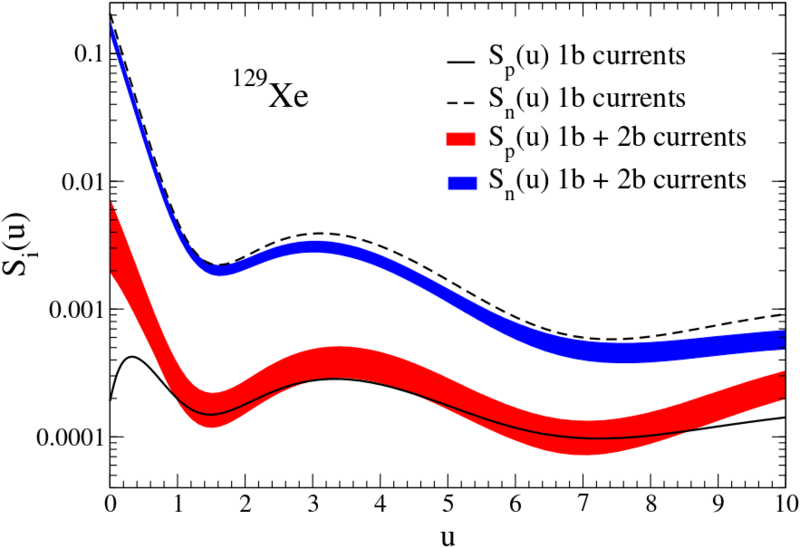 In addition to the coupling through one-body (1b) currents, which describe the coupling of the WIMP to a single nucleon, chiral EFT describes many-body (2b) currents, including two or more nucleons, which enter at higher order and are quantitatively important. Our research aim is the description of the nuclear currents in the framework of chiral EFT in order to derive the nuclear matrix elements of WIMP-nucleus scattering to the best accuracy possible.